Finding freedom and ease in a standing yoga pose requires a particular balance between rooting and rising; contracting and expanding; grounding enough to find support, while letting go enough to find freedom. Trikonasana (Triangle Pose) and Ardha Chandrasana (Half-Moon Pose) are no exceptions. Although Trikonasana is a two-legged balance and Ardha Chandrasana is a one-legged balance, they consist of similar shapes, actions, and effects. They’re also both really challenging balance poses, which may prevent you from experiencing some of their most enjoyable benefits. It might feel downright impossible to feel the expansive and radiant qualities of these poses while wobbling and struggling to find your balance in the center of the room. Taking these poses over to the wall gives you just enough extra support to access the grounding and liberating effects of Trikonasana and Ardha Chandrasana. Place the short edge of your yoga mat against the baseboard of the wall. Step your feet wide apart, with the outer edge of your left foot touching the wall. Turn your right leg and foot out about 90 degrees, so the right toes point straight ahead toward the center of the room. Turn your right thigh out enough that the center of your right knee is aligned with the second and third right toes. Bend your right knee ever so slightly to maintain this alignment and to prevent your knee joint from locking. With your hands on your hips, press firmly down into both feet to root into the ground. Your weight should be evenly distributed between your right foot and left foot. While rooting through your feet, also feel energy rise up through these roots, firming your legs and lengthening upwards through your spine. With this feeling of simultaneously rooting and rising, extend your torso over your right leg, sliding your right fingertips along your right leg toward your shin. Continue to feel your weight evenly distributed between your two feet. If you start to feel like you’re favoring your front (right) leg, you may have gone too far; come up a bit, slide your right hand a little higher on your right leg, and even out the distribution of energy between your legs. Keep your left hand on your left hip or reach your left arm toward the sky. If your left arm is in the air, feel a long line of energy that spreads from right fingertips through left fingertips. Firmly press the outer edge of your left heel into the wall to maintain a sense of stability and support through your back leg and foot. To come out of the pose, ground through your left heel and use the power you’ve created in your back leg to return to an upright position. As you did for Trikonasana, place the short edge of your yoga mat against the baseboard of the wall. Set a block at its tallest height close to the opposite end of the mat. Set up your feet and legs as you did for Trikonasana—feet wide apart with the outer edge of your left foot touching the wall. To be more specific, have approximately the length of one of your legs between your right and left foot. Turn your right leg out about 90 degrees, right toes pointing toward the center of the room. Bend your front (right) knee slightly and push off your back (left) foot to stand on your right leg, while simultaneously reaching your right hand down toward the block. Move the block so your right wrist is directly under your right shoulder. You may need to adjust your right foot so your right ankle is directly under your right hip. Lift your left leg to hip height and press the sole of your left foot firmly into the wall. As you root your left foot into the wall, simultaneously draw energy back into your left leg toward your left hip, then all the way through your spine and through the crown of your head. In a similar way, root down through your right foot and simultaneously draw energy up through the right leg towards the hip. Even though one foot is on the ground and one is against the wall, experiment with pressing evenly through both feet and consequently drawing energy evenly into your legs toward your hips. As in Trikonasana, your left hand may stay on your hip or reach into the air. If your left hand is in the air, create a long line of energy from the bottom (right) hand through the top (left) fingertips. As you root into the floor and the wall, feel the freedom that gives you to expand in all directions—down through your right leg, up through your left arm, back through your left leg, and forward through the crown of your head. To come out of the pose, lower your left foot to the ground and return to an upright position. Study with YogaUOnline and Robin Rothenberg - Yoga for a Healthy Back: Freeing the Neck and Shoulder Girdle. Christine Malossi began practicing yoga in 1999. Based in New York City, she offers an alignment-focused, slow Vinyasa practice that cultivates awareness and equanimity. She is currently enrolled in an 800-hour course on the History, Literature, and Philosophy of Yoga (taught by Brenda Feuerstein, designed by the late Georg Feuerstein). 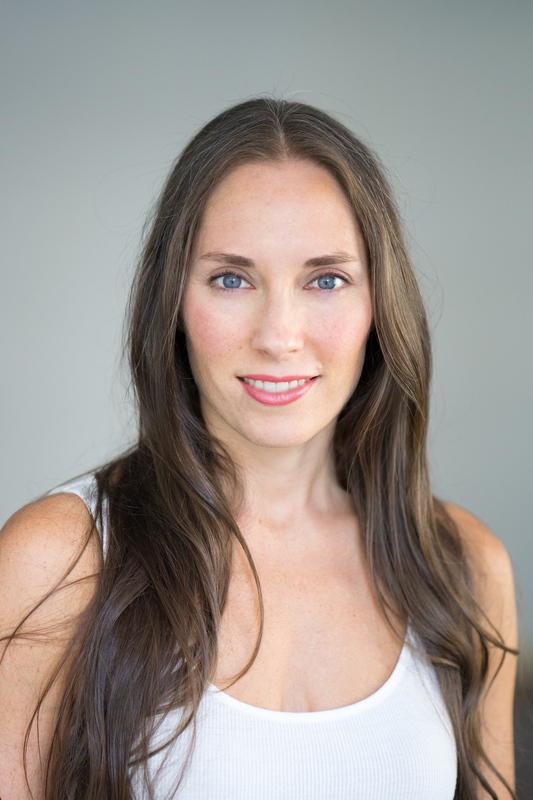 Christine is a Registered Yoga Teacher with Yoga Alliance, and has additional certifications in Therapeutic Yoga, Restorative Yoga, Accessible Yoga, and Functional Anatomy for Movement and Injuries. She attended the University of Pennsylvania and NYU, and also spent many years studying classical ballet. Find her at christinemalossi.com.